SUNNYVALE, CA – November 3, 2010 – Tuxera Inc., the leading provider of Windows-compatible file systems for Android, Linux, Mac and other platforms, announced today a partnership agreement with Mentor Graphics, a world leader in electronic hardware and software design solutions. Tuxera also announced Tuxera exFAT and NTFS for the Mentor® Embedded ReadyStart™ Multi OS platform that runs on Nucleus® OS as well as Android and Linux. The ReadyStart platform comprises integrated software IP, tools, and services targeting specific hardware boards and SoCs. Tuxera NTFS and exFAT offer the first-choice file system interoperability solutions for embedded designers. 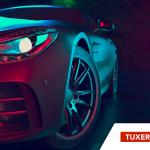 The partnership allows Mentor Graphics customers to use Tuxera’s mature file system technology throughout the design process with seamless platform integration, helping to minimize performance and reliability risks. Although Mentor’s Nucleus FILE product could be used for these applications, the exFAT product is ideally suited to manage extremely large files. 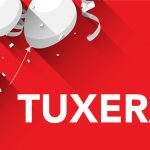 To maximize the benefits, Tuxera also provides a comprehensive set of file system tools including format, file system check and repair. Tuxera’s solutions are widely deployed in consumer electronics, mobile, medical, aviation and automotive industries. For the availability of Tuxera NTFS and exFAT for Nucleus OS, Android, Linux and the Mentor Embedded ReadyStart platform please contact sales@tuxera.com. Mentor Graphics Corporation (NASDAQ: MENT) is a world leader in electronic hardware and software design solutions, providing products, consulting services and award-winning support for the world’s most successful electronics and semiconductor companies. 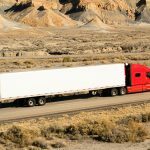 Established in 1981, the company reported revenues over the last 12 months of about $800 million. Corporate headquarters are located at 8005 S.W. Boeckman Road, Wilsonville, Oregon 97070-7777. To learn more, please visit www.mentor.com.